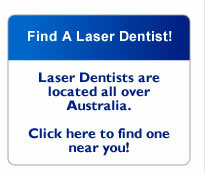 Laser Dentists Australia is a group of dentists at the forefront of dentistry in Australia who are dedicated to promoting better dental care through the use of lasers. Our aim is to help patients understand how lasers are used in dentistry and the benefits that laser dentistry can provide. We also strive to assist dentists to learn how laser dentistry can enhance the level of dental care they provide to their patients. Our commitment to laser dentistry also manifests itself through involvement with the Australian Laser Users Group (ALUG). This group ensures that Australian laser dentists can share information and expertise in regular forums, both online and in person. It contributes to research in the field of laser dentistry to ensure continual growth and development to the benefit of patients. Dentists who are interested in dental lasers are encouraged to contact High Tech Laser Australia to learn more about the wide range of applications for dental lasers. Clinical demonstrations can also be arranged. 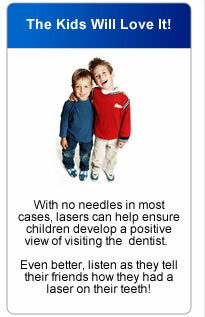 For more information on laser dentistry you may wish to investigate other sites by clicking here. 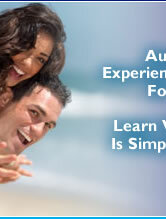 Laser dentistry – better for your teeth!